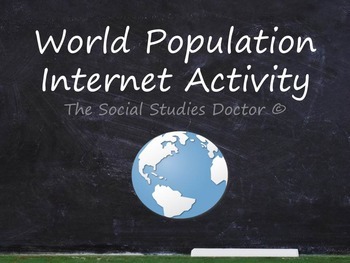 Students will use the provided web links to find out information about the current world and US populations. 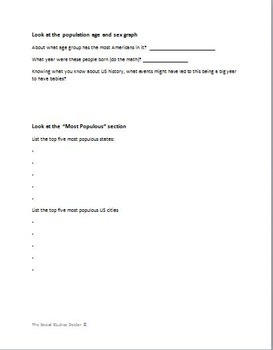 Students will interpret various graphs in order to complete the answers. 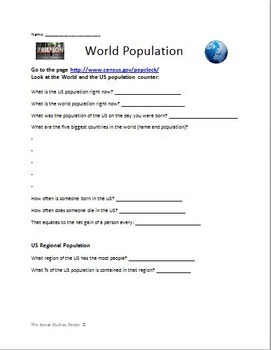 Because of the changing nature of the population, there is no answer key for this worksheet. This can be used as homework or an in-class assignment.